In about 1976, I moved from the Chicago area to Minneapolis to live with a girl friend. I’m originally from Topeka Kansas and now live out east. Anyway we were renting a Victorian house with another girl from our high school and a couple, he being older and a spy working for the army (ours). This Victorian house was on Lyndale (?) Ave. I’m not sure now of the spelling, but it was totally haunted! The ghosts, as we were sure there were more than one, were very active. 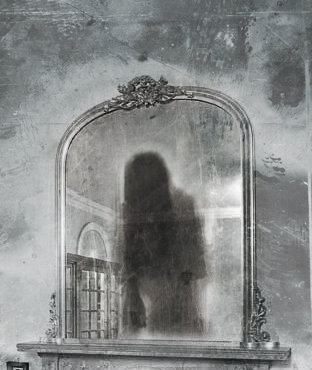 My then girl friend would see this old man standing behind her in the many builtins with mirrors and when turning around would see nothing and upon looking back in the mirror he would be right there again. This ghost would stomp around at night, open, doors and windows – even in the winter, and always an hour or two after we we all asleep. In SE Asia, some people believe that loud noises, including explosions would ward off the evil spirits. Even though normal bullets will not wound a ghost, had you shot at it, the explosion might have helped you drive him away. Home » Your True Encounters » September 2015 » What Are You Going to Do? Shoot A Ghost?